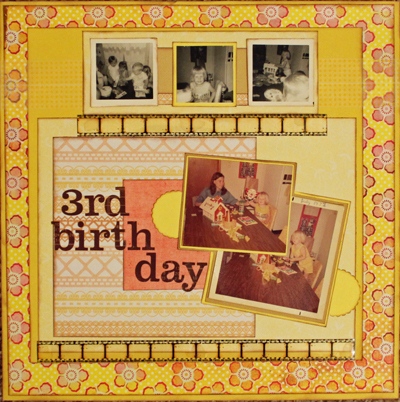 Three years ago today I started this blog, so today I'm sharing snippets from three previous posts and a layout surrounding a "three" from my life (my 3rd birthday). I've thought about this off and on for a little over a year now. 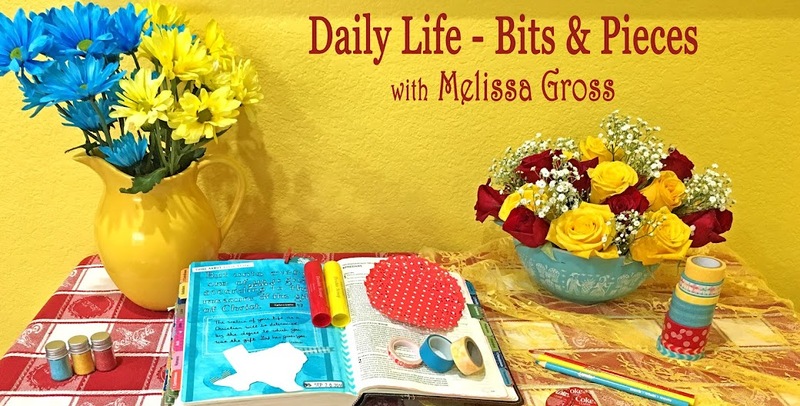 Should I start a blog - a place where I can share what's happening in my life, post photos (including my latest scrapbooking pages), maybe even offer advice or inspire someone with my ramblings about books I've read or my latest organizing project? I don't know why today is THE DAY, but here goes . . . my very first blog post! I am so excited to celebrate my ONE YEAR BLOGIVERSARY today. I can hardly believe it's been a year since I published my first blog post. I really started out thinking this would be a little experiment to learn about blogging and to try something new, however I can't imagine my life without blogging now. I truly enjoy the regular exercise of writing and sharing my layouts, book reviews, and other bits and pieces of my life. It's my TWO YEAR BLOGIVERSARY and today I'm celebrating the fact that I have not only been able to share bits & pieces of my life with each of you, but that I've also preserved memories and stories through that sharing. Each time I publish a post, I'm recording a little bit of what's happening in my life - whether it's showcasing my latest scrapbook layout or reviewing the books I've read or revealing new photos I've taken or discussing my latest organizing project or just simply chronicling the events of our latest adventure. 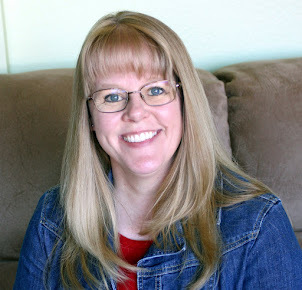 Thank you so much for stopping by today - I'd love for you to leave a comment and let me know how long you've been reading & what you most enjoy here on my 3-year-old blog. Happy Blogversary,Melissa....I'm not sure how long I've been visiting you....I would guess about 2 years. I enjoy the variety on your blog....but especially like seeing your scrap pages. Happy blogoversary! Three years, wow, I thought it was longer than that! So I've been visiting you since the beginning! Can't wat to see what the next three years brings you! COngratulations! Happy Blogoversary! No small feat to achieve 3 years of blogging. I've been along for two of those year and have always enjoyed your posts and your creative journey! Here's to 3+ more years! Happy Birthday to my good friend's blog! what I love most? Knowing you in person and knowing that all of these people in blogland know the real you too! Happy Blogaversary Melissa! I'm thinking I've been around for most of your three years..I certainly hope to be coming here for a long time to come. Keep on blogging! Happy blogiversary. I know I've been following you since at least some point in 2010 - so 2 1/2 years??? Happy Blogiversary! It seems like 3 years have flown by. It's been fun to see your blog develop over time to the wonderful variety of topics you post about. And I really like how you wrote this with snippets from each anniversary. I'm not sure how long I've been following you---maybe 6 months or so. But I love the variety of topics you have on your blog. That keeps me coming back for more! Happy Anniversary! Been lovely to 'meet' you through BPC and this blog. As many have said I like the variety of topics, but then I'm a variety of topics blogger myself.